First of all I would like to say..man, Willit’s what are u thinking!! Back in 1994 my sister, Tami, and best friend, Sara, and I took off across the USA. Our goal: Woodstock 94! It took us 3 days to cross, stopping a few times to look for wild hemp.. I grew up with the drummer from Greenday, Tre Cool, and we had this tie-dye banner made supporting Greenday, we didn’t know how we where going to fly our banner, so in the middle of the road somewhere in New York we came across 2 pieces of 2×4,and made posts for our banner, this banner saved us a few times from the rain and wind at Woodstock 94, so now I own a great piece of Woodstock 94. The best part of the banner is Tre Cool signed it for me. 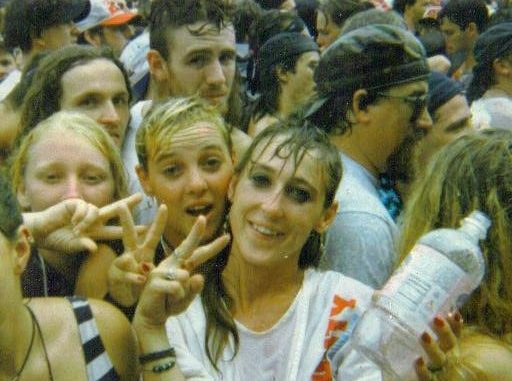 I have so much to share about Woodstock 94… pics, video in Bethel, New York… and so many wild stories. I was so happy to hear Woodstock 2009 was going to be in Willits, CA, my home town!! PLEASE …. let me know how much Woodstock 2009 tickets are going to be…my turn to share with my kids WOODSTOCK!! !